Starbucks is in for some aggressive expansion. They have taken over the bakery La Boulange. Starbucks Corp. struck the deal with a $100 million in cash. Starbucks has been looking to enter into the the fast-food segment of the restaurant industry and taking over La Boulange bakery might just seem the start of it. Starbucks is planning of replacing it’s current lineup with baked goods and pastries from La Boulange by early next year. Starbucks also has bigger plans for this small bakery chain. Starbucks wants to make La Boulange a national bakery in the years ahead. Food has become an important part of Starbucks’ revenue stream in recent years. About a third of the purchases in its U.S. locations now include a food item. 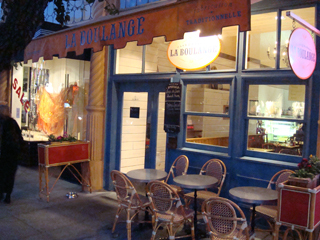 La Boulange, which also serves salads and sandwiches in a casual sit-down setting, has 19 locations in the Bay Area. The deal also positions Starbucks to enter a fast-growing segment of the restaurant industry currently dominated by Panera Bread Co.
Stampede in Cambodia kills 339! Scams to watch out this Christmas! Dead Fish, Birds Wash Up On Lake Shores!